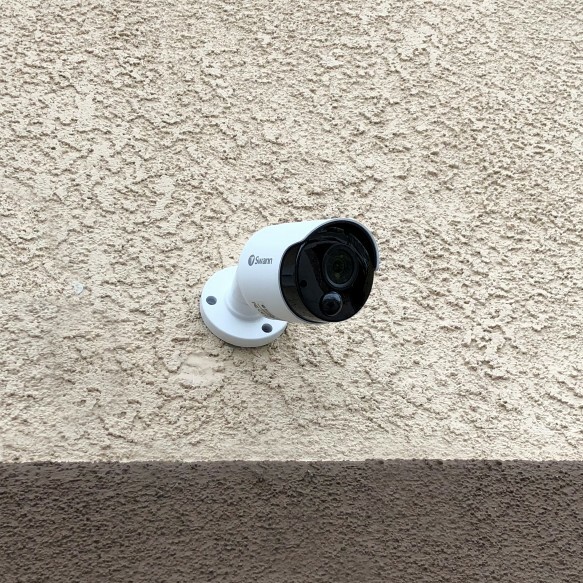 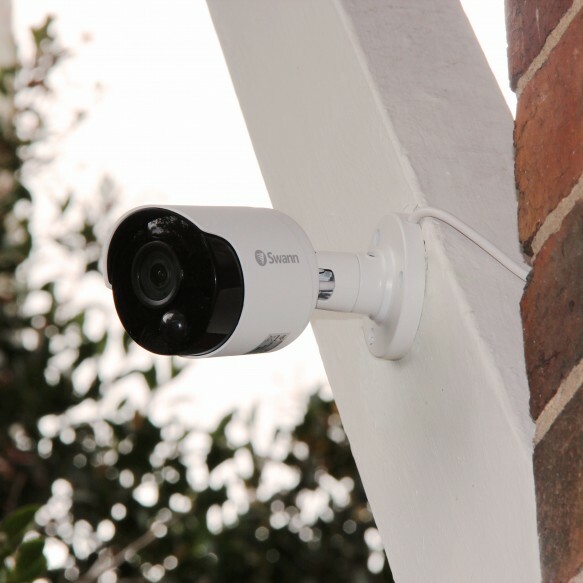 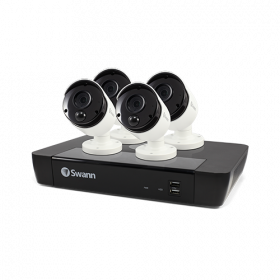 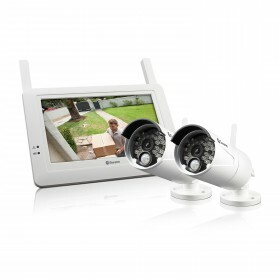 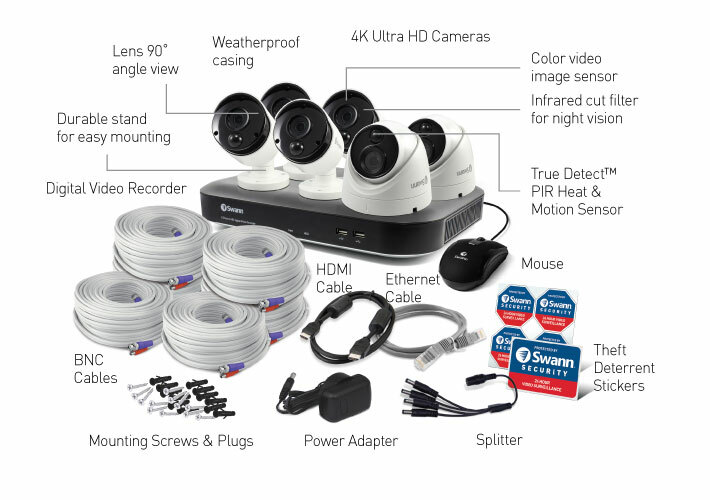 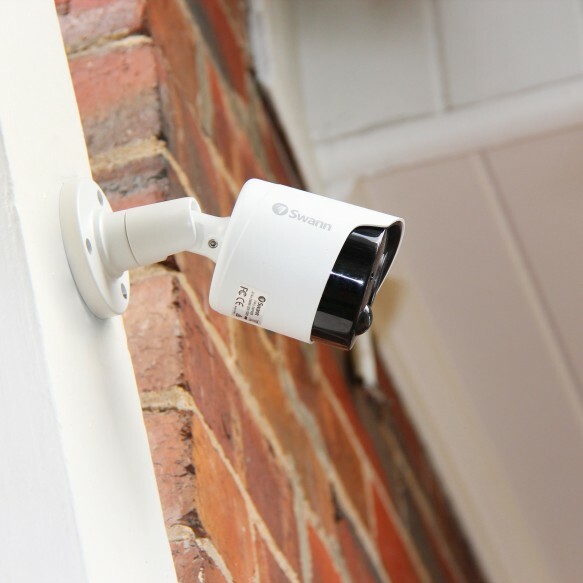 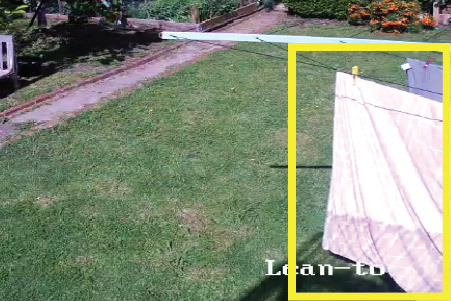 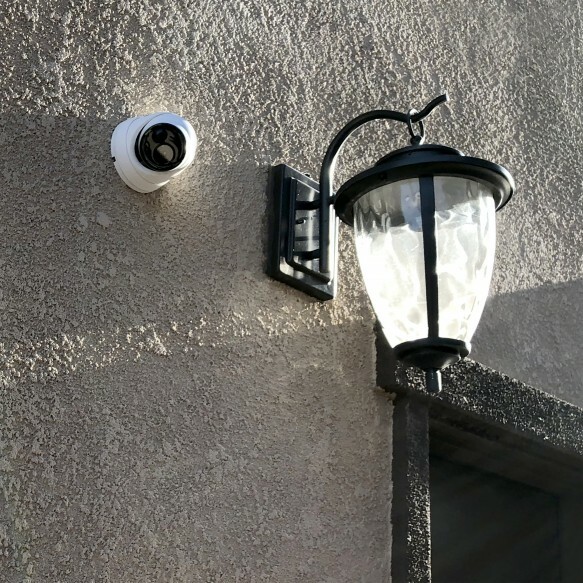 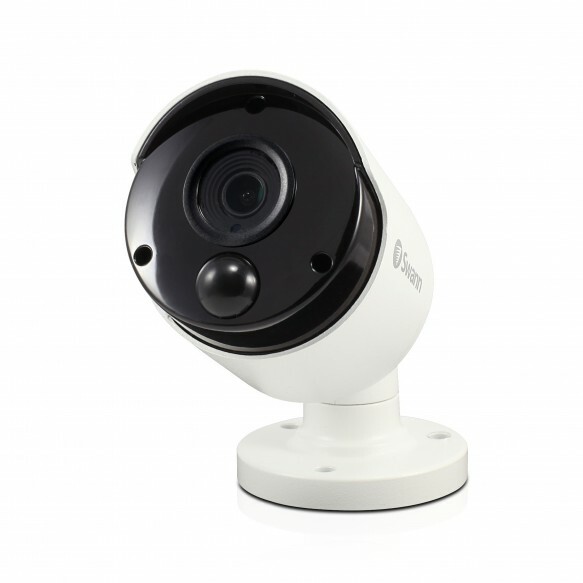 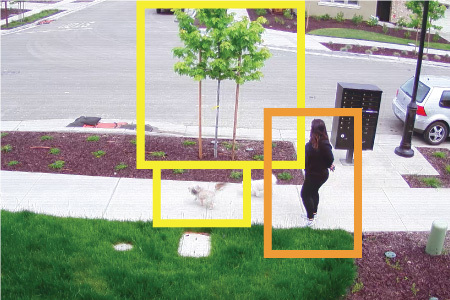 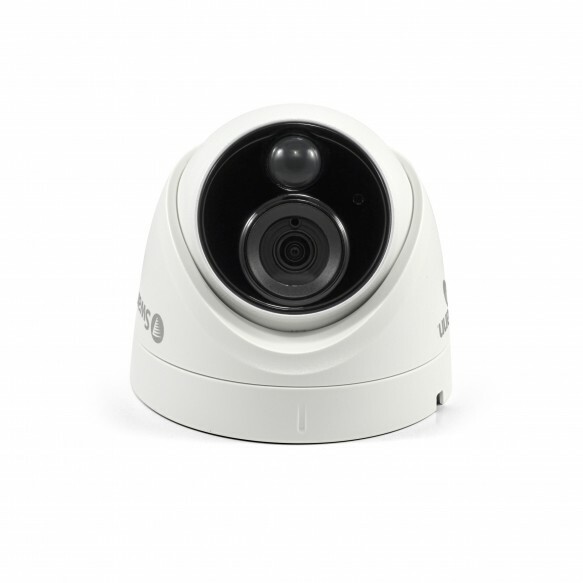 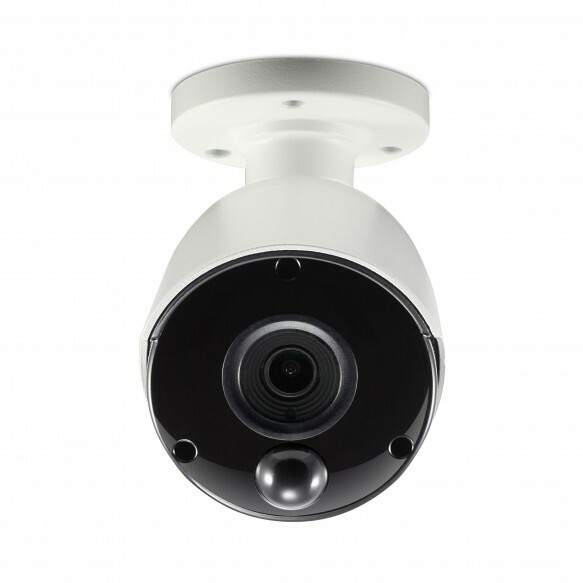 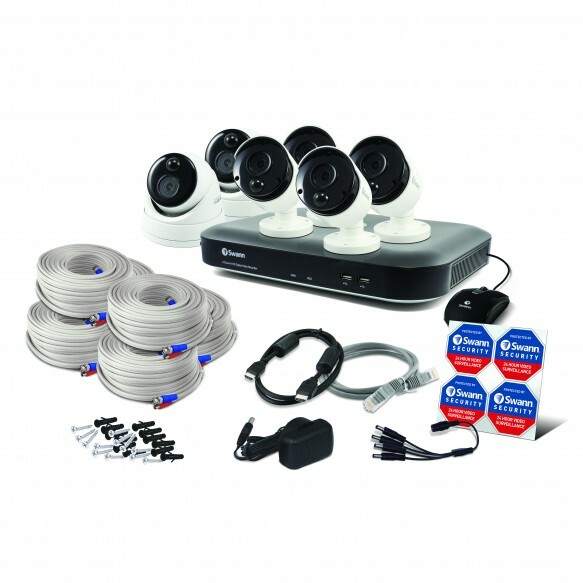 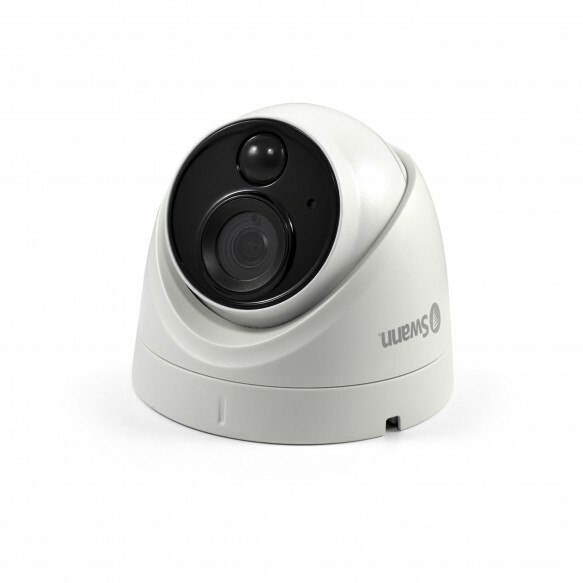 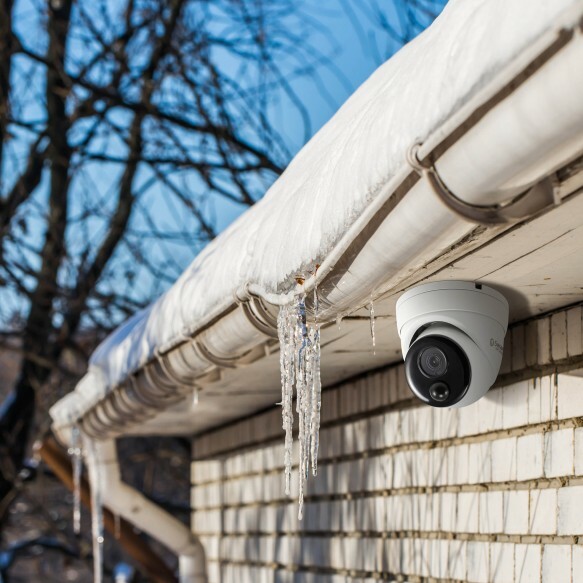 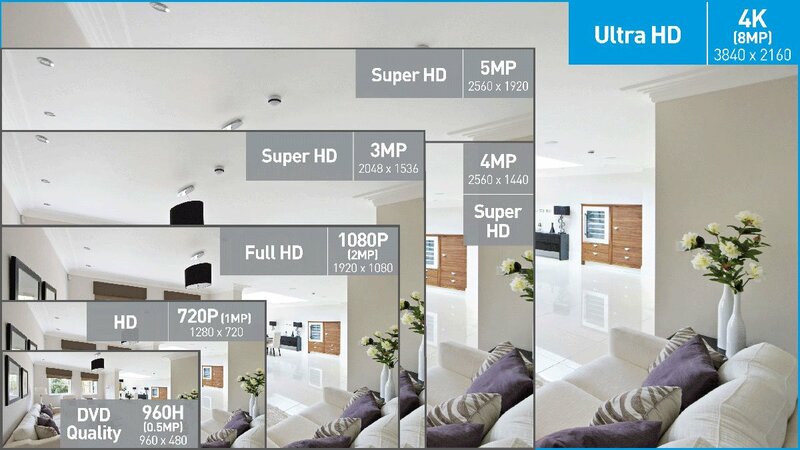 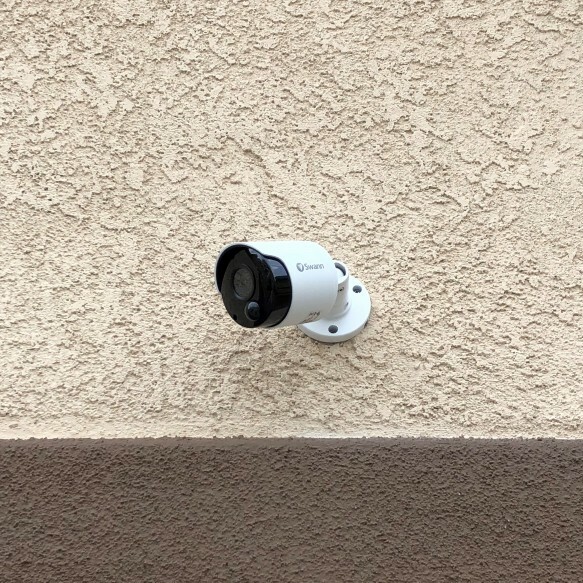 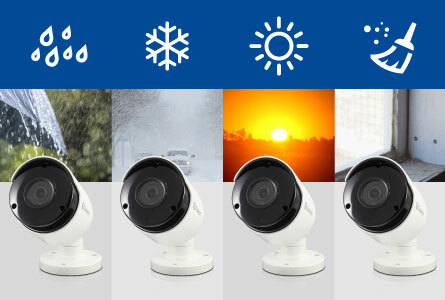 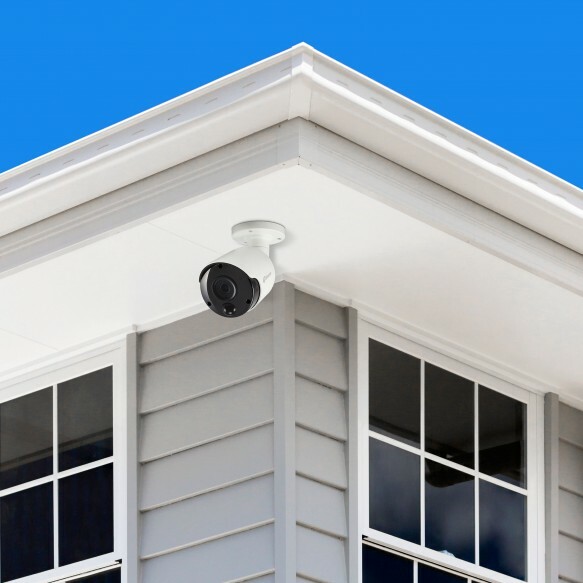 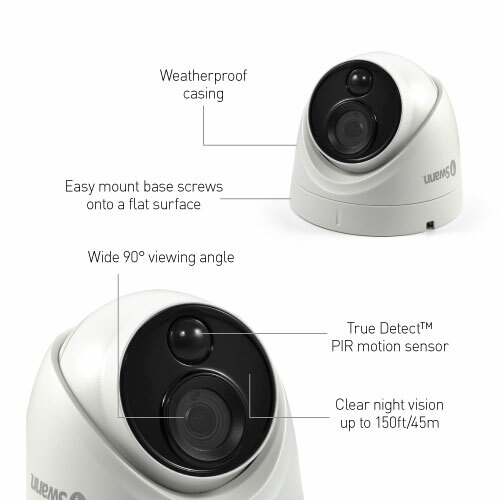 An 8-channel security system suits medium-sized properties for outdoor and indoor surveillance. 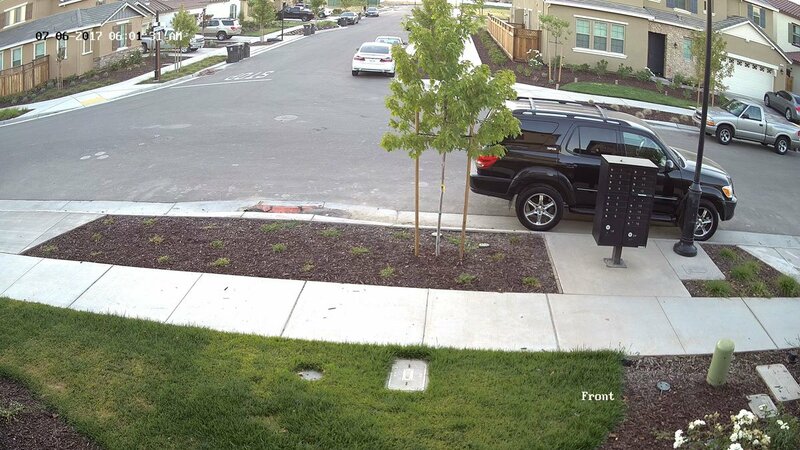 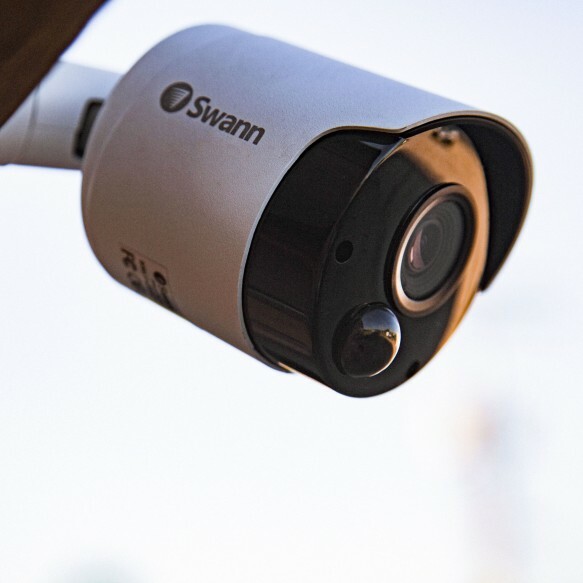 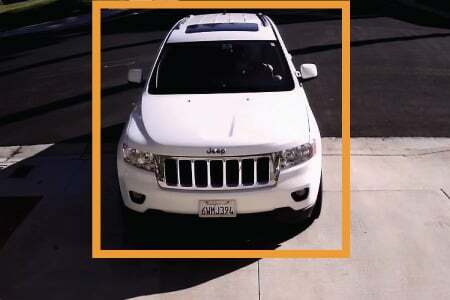 With 6 cameras already included, you can add up to 2 more to cover any blind spots. 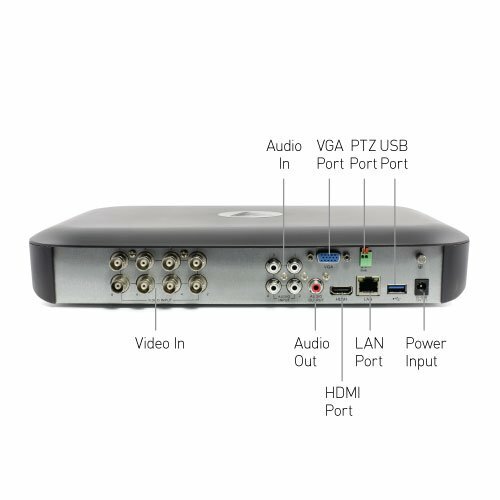 See the Compatible Products section further below. 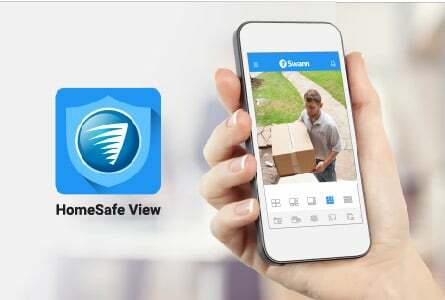 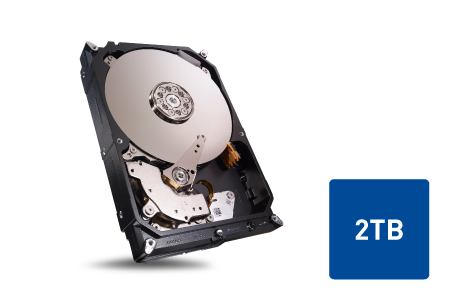 See your home on your phone, live or playback, from anywhere with the HomeSafe View app, while the massive pre-installed hard drive can store months of footage with no ongoing fees ever. 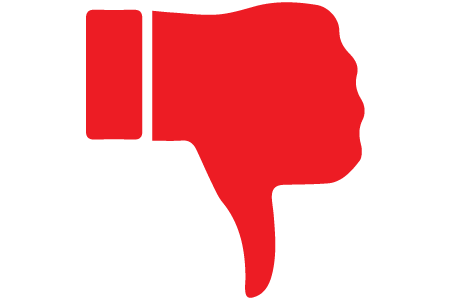 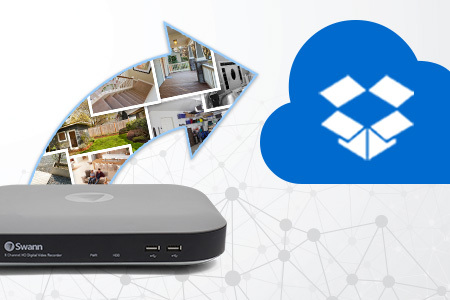 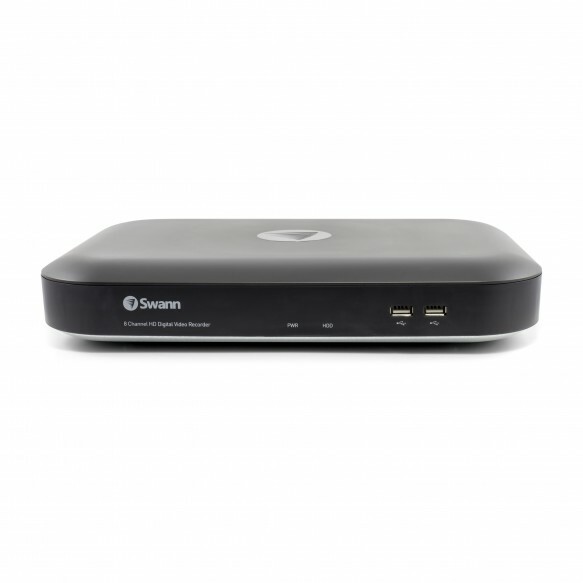 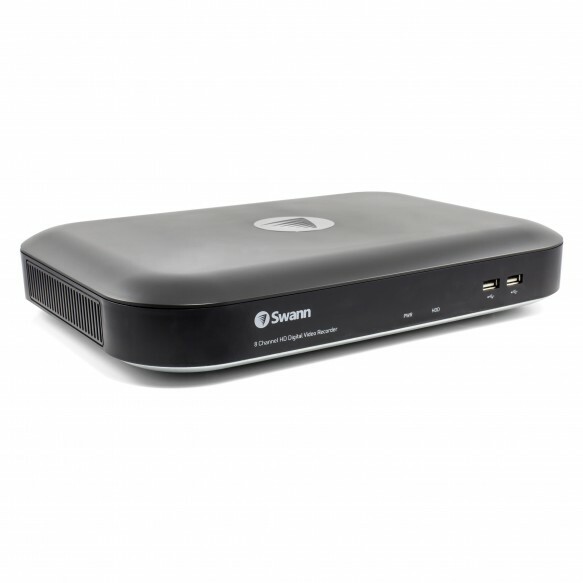 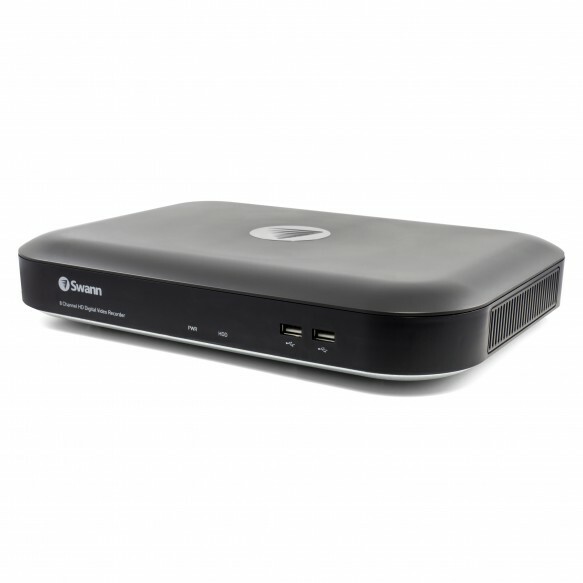 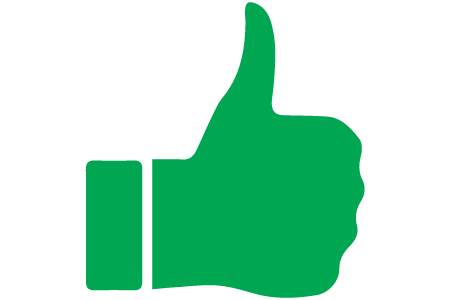 Link your DVR to your Dropbox and upload still images to the cloud, so that you have evidence safely stored off-site. 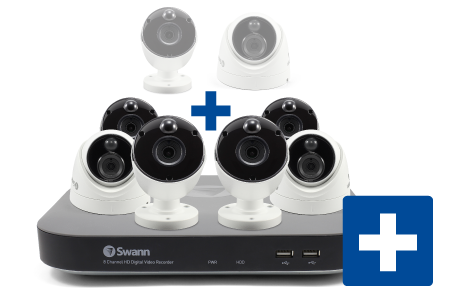 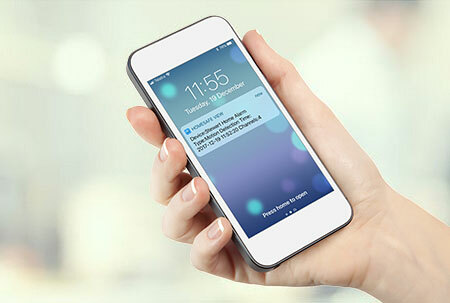 It’s security made smarter! 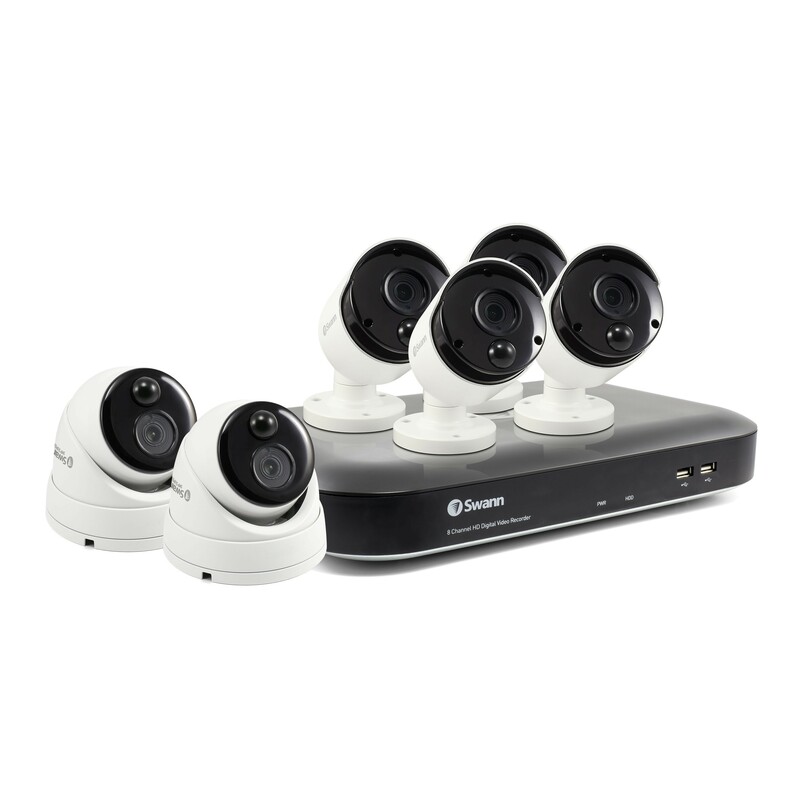 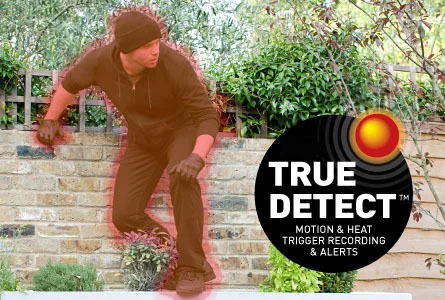 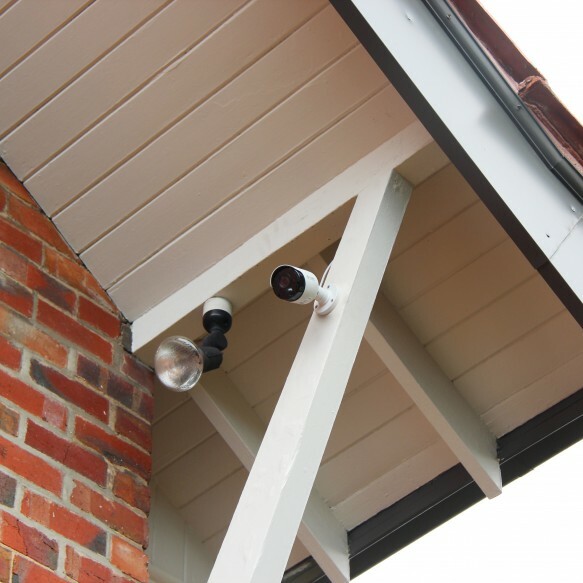 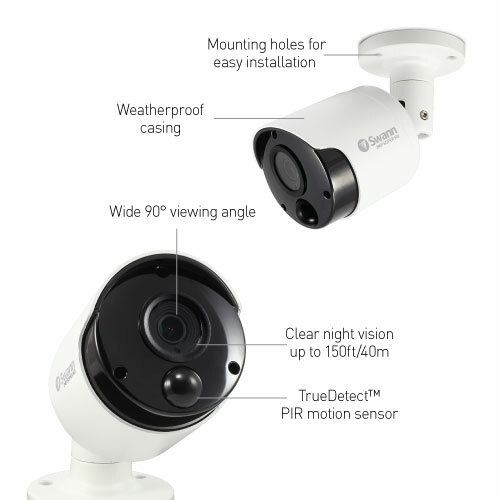 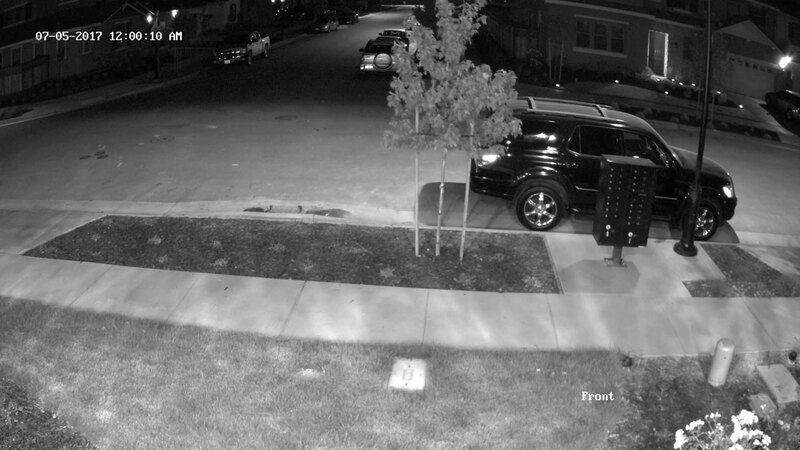 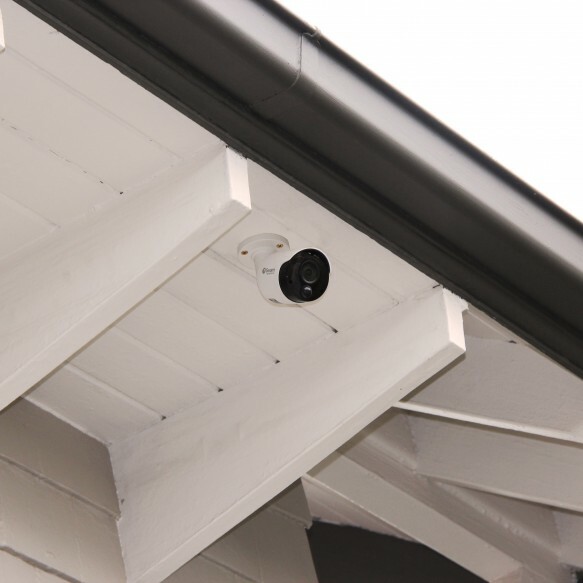 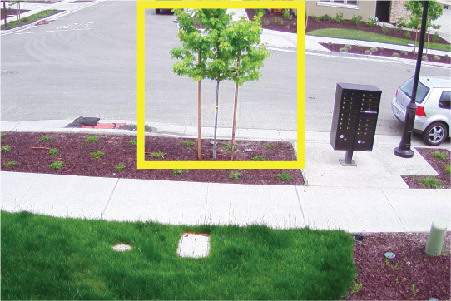 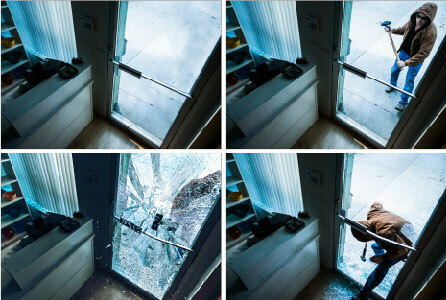 An 8-channel security system suits medium detached properties for outdoor & indoor monitoring. 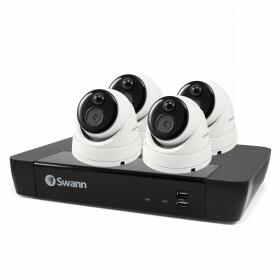 It comes with 2 cameras and you can add 4 more for a total of 8. 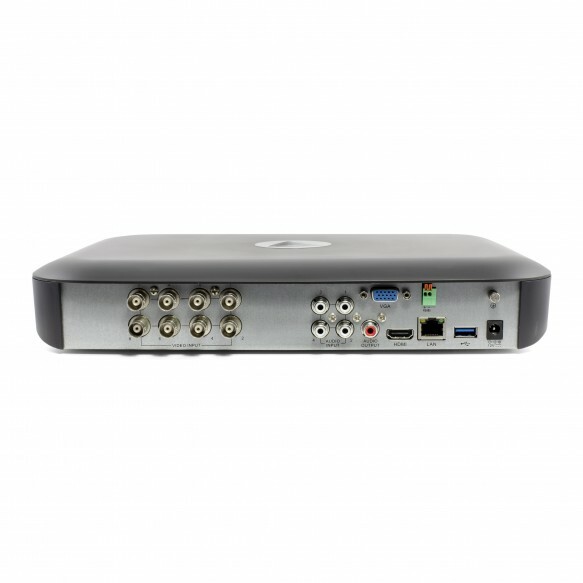 Check out the Compatible Products section further below.